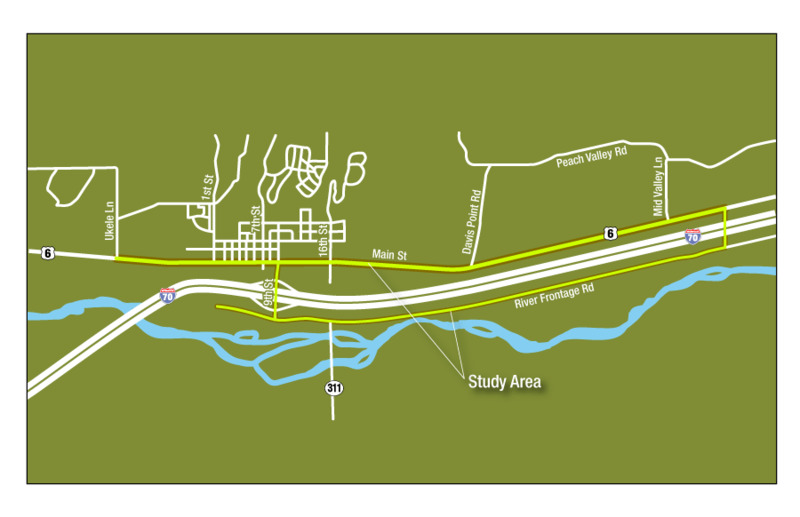 The US 6/River Frontage Road Access Control Plan will assess the existing and proposed access points along US 6 and the River Frontage Road within the study area, and make recommendations for changes if appropriate. Additional information about the plan is available on our Study Overview page. You can also learn more about the plan on our Frequently Asked Questions page. Study partners include the Town of Silt, Colorado Department of Transportation, and Garfield County. Your input will help us create an access control plan for US 6 and the River Frontage Road that benefits the commuters, residents, businesses, and pedestrians that rely on these important roadways. We appreciate your involvement. Please contact us with any questions, comments, or concerns. The next public meeting will be held on December 2, 2009, at the Silt Fire Station located at 611 Main Street. Please stop by at any time between 4:30 and 7:00 pm to learn about the project, to review the final recommendations of the study, and to provide your comments. For additional information, please visit the public involvement page.